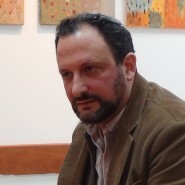 Aryeh Tepper is the Director of Publications and Online Educational Programming at the American Sephardi Federation, the Academic Director of the The Glazer-BGU Israel Studies Seminar for Chinese Students, and the Academic Advisor to SIGNAL's Israel Studies Programs in China. He teaches at Ben-Gurion University and Achva College. His articles and essays have appeared in English and Hebrew in Commentary, The Weekly Standard, Jewish Ideas Daily, Nomos Journal, Akdamot and Makor Rishon.